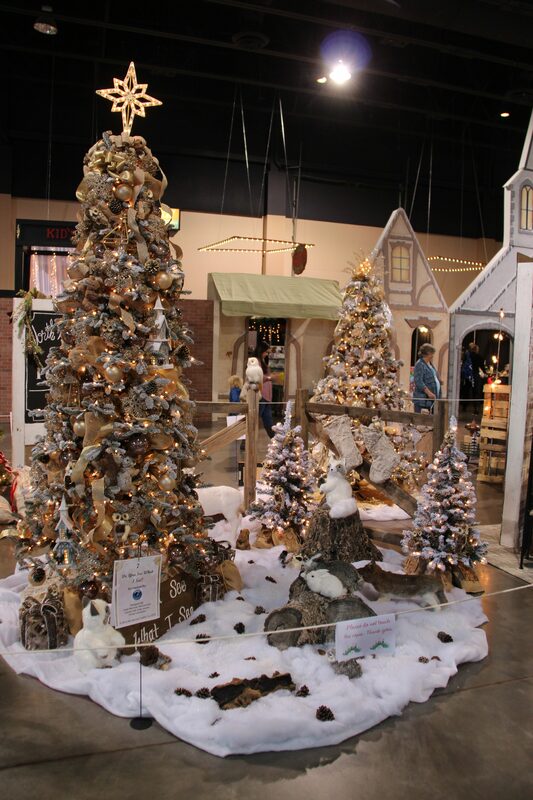 ST. GEORGE — The Intermountain Foundation’s 35th annual Jubilee of Trees is almost here. But beyond the five days of shopping, events and entertainment for the community to enjoy, this year’s jubilee will benefit heart services at Dixie Regional Medical Center. 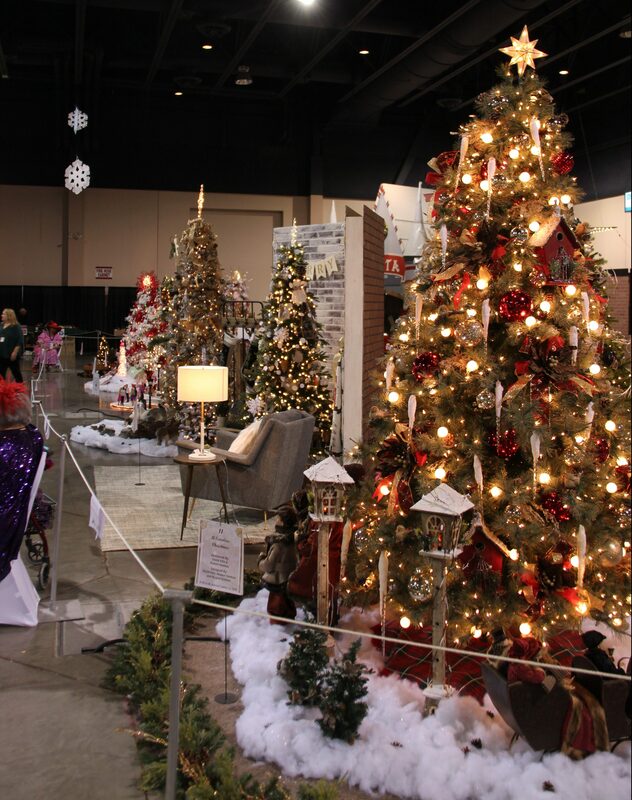 With a theme of “A Healthy Heart for the Holidays,” the Jubilee of Trees will take place Nov. 15-19 at the Dixie Center St. George, with proceeds going to the Intermountain Foundation to benefit heart services at the recently expanded St. George medical center. The main attractions of the jubilee are the designer trees and the smaller tree forest lighting up the mountain village-themed space. Shoppers can browse the handmade quilts and knit items, holiday centerpieces, wreaths and gingerbread houses. For the sweet tooth, treats will again be available at the Sweet Shoppe. Designer trees will be on auction, while other trees are for sale and can be picked up at the end of the jubilee on Monday, said Glenna Beyer, executive director of the Intermountain Healthcare Foundation at Dixie Regional Medical Center. Children can enjoy making crafts, taking pictures with Santa Claus and looking around the kids shopping area. The Utah Night of Stars will take place Nov. 17, featuring local Utah musicians in a concert setting at no additional charge to jubilee attendees. Besides the Utah Night of Stars, the jubilee will have continuous music and entertainment each day, and a visual display will show how heart services have impacted the community served by Dixie Regional Medical Center. Tickets to the jubilee can be purchased for the general event at a price of $5 for adults and $1 for children under 15 years of age. The jubilee will be open from 10 a.m. to 8 p.m. Nov. 15 and Nov. 17-19, and from 10 a.m. to 4 p.m. on Nov. 16. As with previous years, in addition to general events, additional jubilee events will take place throughout the week, including the St. George Area Chamber of Commerce luncheon with a presentation by a physician panel discussing heart services. The luncheon will take place Nov. 15 at noon and costs $15 for chamber members and $20 for the general public. Other events include the Jubilee Gala, consisting of dinner and an auction, on Nov. 16 at 6 p.m. for $150. Guests also have the option to sponsor a table at the gala for $1,200 or a platinum table for $1,500. The Teddy Bear Picnic for kids and adults returns this year Nov. 17 at noon and costs $15 or $120 for a full table. The Jubilee Fashion Show luncheon takes place at noon Nov. 19 for guests to see current and future fashion trends from local retailers over lunch. Tickets to the fashion show are available for $25 or $200 for an entire table. Tickets for these events can be purchased online. All proceeds from the 35th annual Jubilee of Trees go directly to the Intermountain Foundation to help fund Dixie Regional Medical Center heart services. The funds may go toward a variety of things, such as purchasing new equipment, assisting with patient services, charity care for patients and other equipment and services the department may need as they continue to expand. The theme of heart health for this year’s jubilee came about since DRMC recently added a new hybrid angiography suite during their hospital expansion. Shawn Fielding, DRMC communications specialist, said the suite has allowed them to perform 100 transcatheter aortic valve replacement procedures since they first began doing them in 2017. The valve replacement allows surgeons to replace heart valves using a catheter instead of cracking open a patient’s chest. This ability has allowed the hospital to help people who may not have been cleared for open heart surgery, Fielding said. Those who wish to make a donation to the Intermountain Foundation can do so online or by calling 801-442-3323. My favorite job was working at the Dixie Center! I miss those people. Great people!